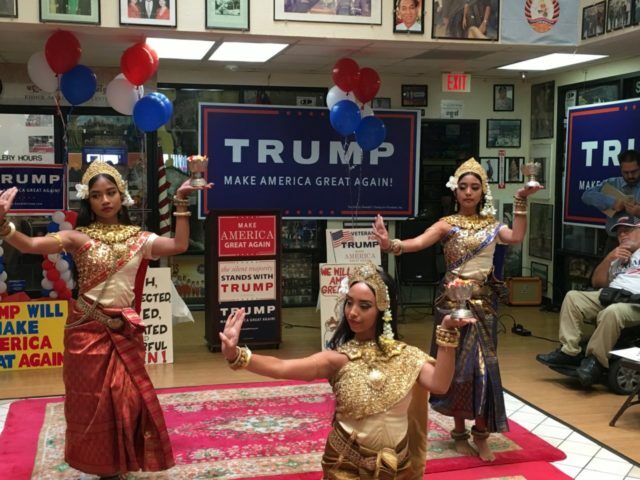 LONG BEACH — Donald Trump’s campaign officially opened its campaign headquarters in Los Angeles County on Saturday with a warm, diverse reception and traditional Cambodian “blessing dance” in Long Beach. 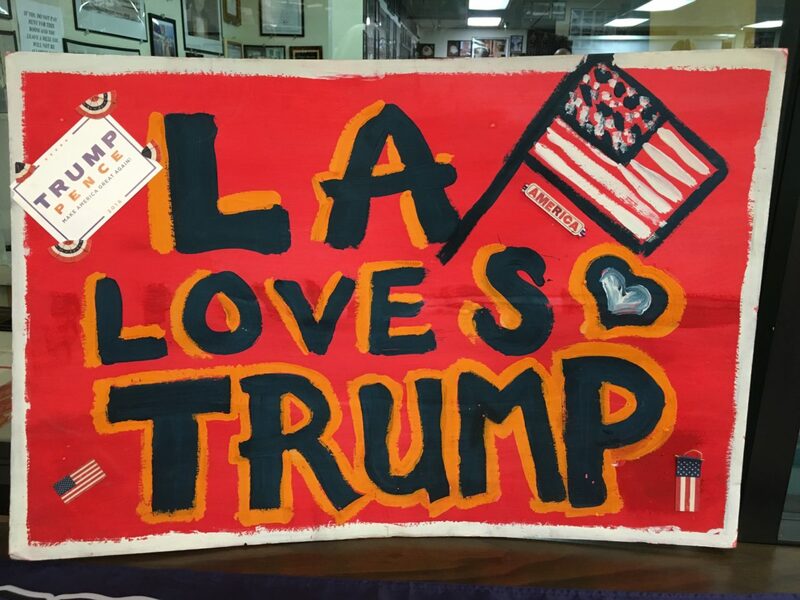 Trump’s L.A. headquarters is located at 2338 E. Anaheim Street, #201-C in Long Beach — an area colloquially referred to as “Cambodia Town,” and a Democratic stronghold for the last few years. Trump opened his California headquarters in Sacramento this past April. The launch started off with prayers asking “God to bless America and to bless Donald Trump and keep him safe,” followed by a traditional Cambodian dance of greetings and good wishes, Robam Choun-Por (known as the “blessing dance”). A moment of silence was also observed for those who lost their lives during the September 11 terrorist attacks. Sunday marked 15 years since the devastating attacks on U.S. soil took place in New York. Jon Cordova, the Communications Director for Donald Trump’s presidential campaign in Golden State, came down from Northern California for the grand opening. 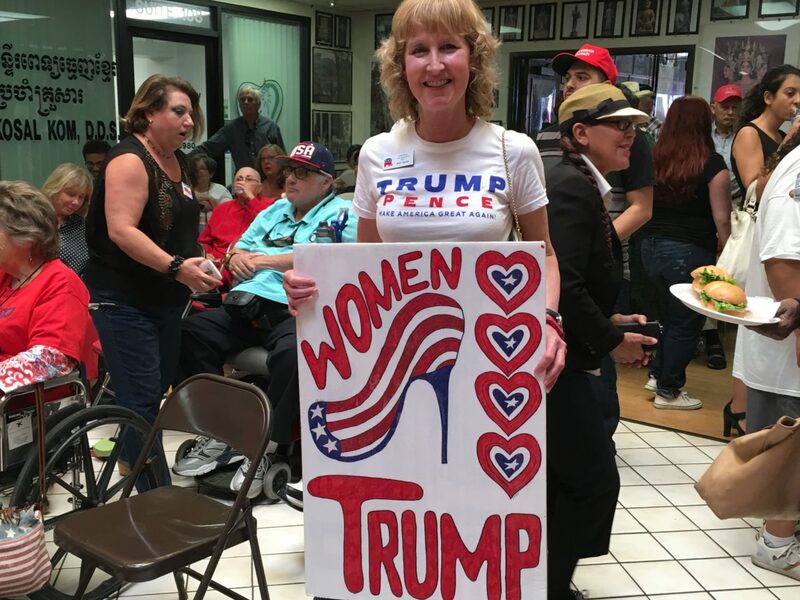 “She made it very clear that we are deplorable individuals,” Cordova said of Clinton’s statements about many Trump supporters this past Friday night. 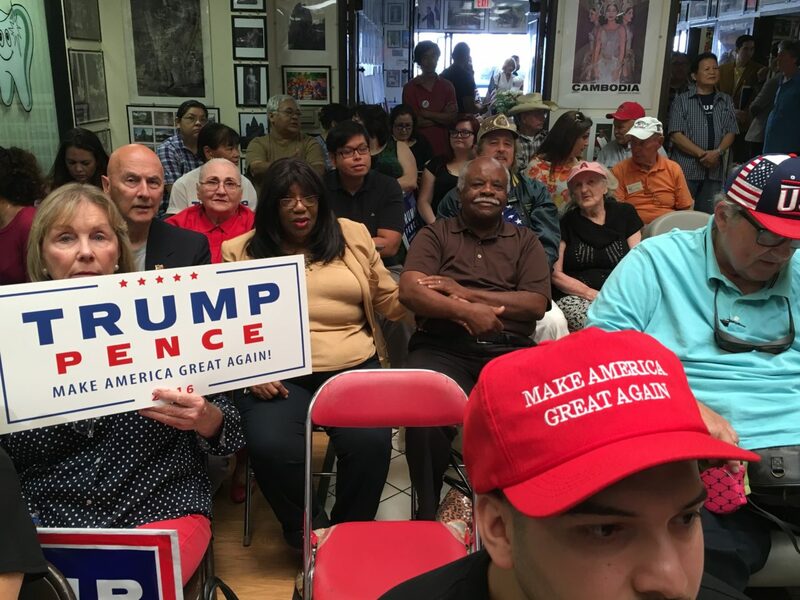 Breitbart News spoke with several of the individuals present, all of them hailing from various backgrounds, reflective of Long Beach’s history as one of America’s most diverse cities. “I’m a Democrat. 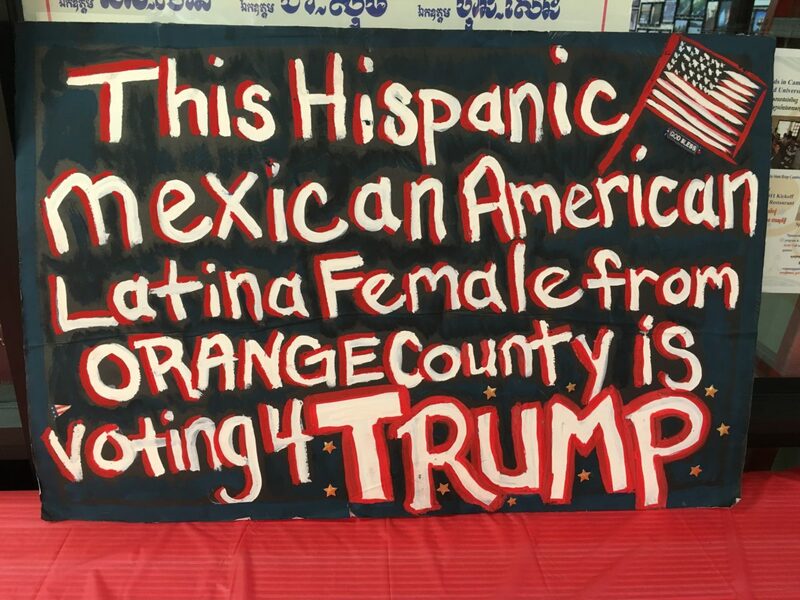 I’m Hispanic, of Mexican extraction,” Michael Barragan told Breitbart News. 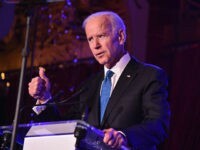 “But a lot of things that Trump says, I feel should be done.” He said he endorsed Trump’s idea of building a wall and suggested taxing money going south of the U.S. border to Mexico in order to pay for it. Shirley Husar, who is an African-American Trump delegate for the State of California, said, “A lot of African-Americans are disgruntled with Hillary Clinton.” She added, “They know that we are under an administration that we could go into a crime bill that wants to do mass incarceration [and] that calls black people ‘super predators,'” referring to Hillary Clinton calling youth in gangs “super-predators” with “no conscience, no empathy” in 1996. 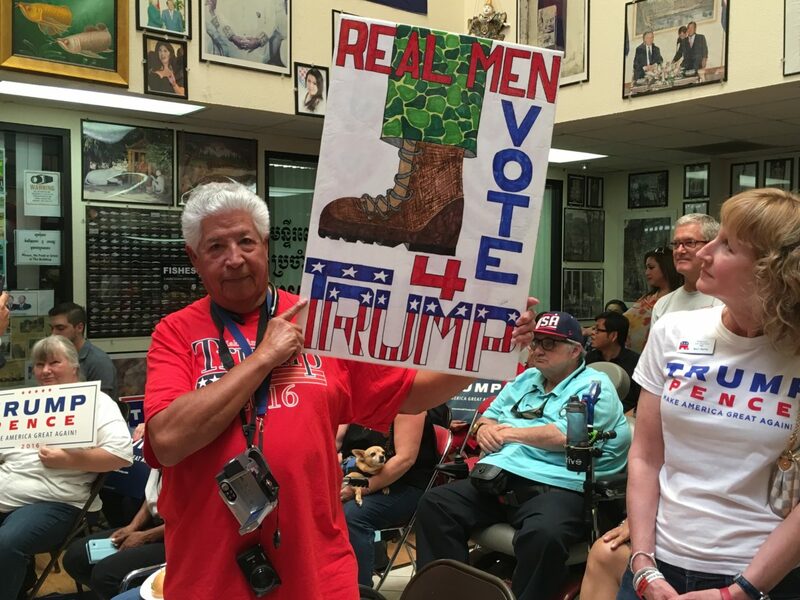 Several people expressed their feelings of ease knowing they could more comfortably express their support for Trump in a deeply blue state, thanks to his campaign’s growing presence. It’s tradition that is the enemy to blacks. Because, traditionally, we thought Democrats were for blacks without doing any research. And then when I found out that Abraham Lincoln was Republican, I thought ‘Wait. This don’t make sense. If he was Republican, where did the switch come?’ And the switch came somewhere around the ’60s. And most of the blacks that are Democrats still are Democrats because of tradition, not politics. So I’m hoping that will change.